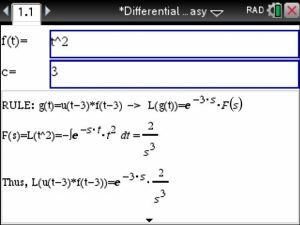 After the decomposition is performed the inverse laplace transform is performed on each term. 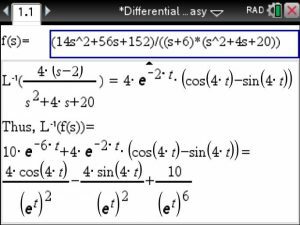 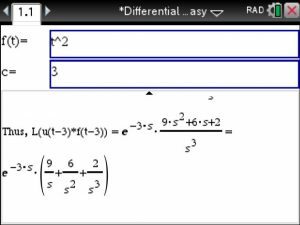 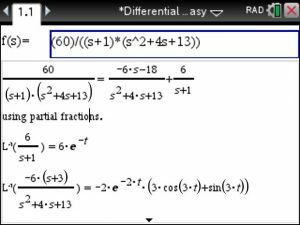 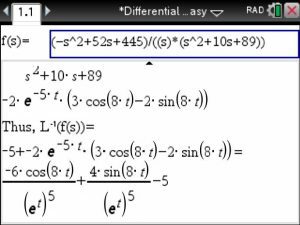 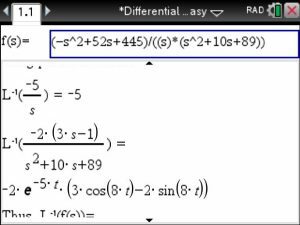 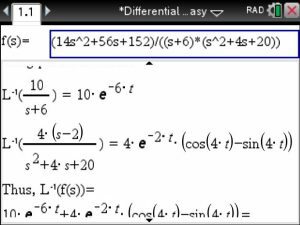 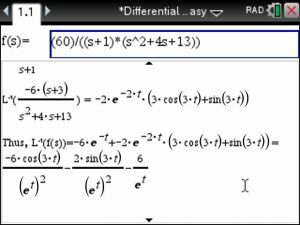 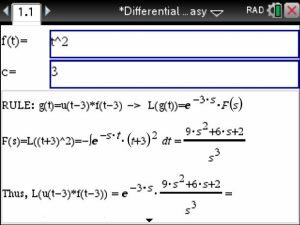 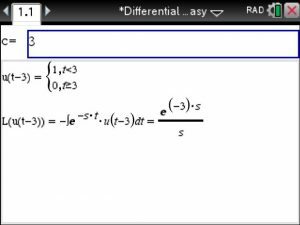 The Differential Equation Made Easy Made Easy for the TiNspire at www.TiNspireApps.com should be called Transforms Made Easy as we include a lot of LaPlace Transform options involving Unit Step and Heavyside Functions. 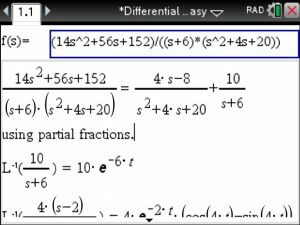 f(t) and again the shift c . Voila. 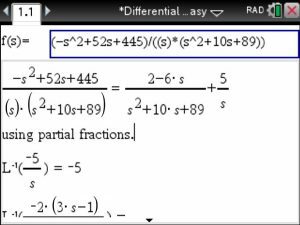 f(t) and again the shift c and just follow the steps provided. 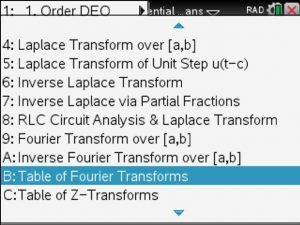 Below’s screenshot gives an idea of the Transforms and its uses. 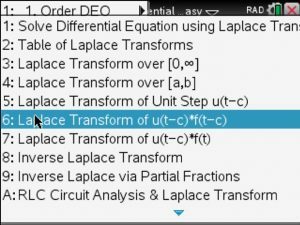 Additionally, 2. order Differential Equations can be solved using LaPlace Transforms – step by step.